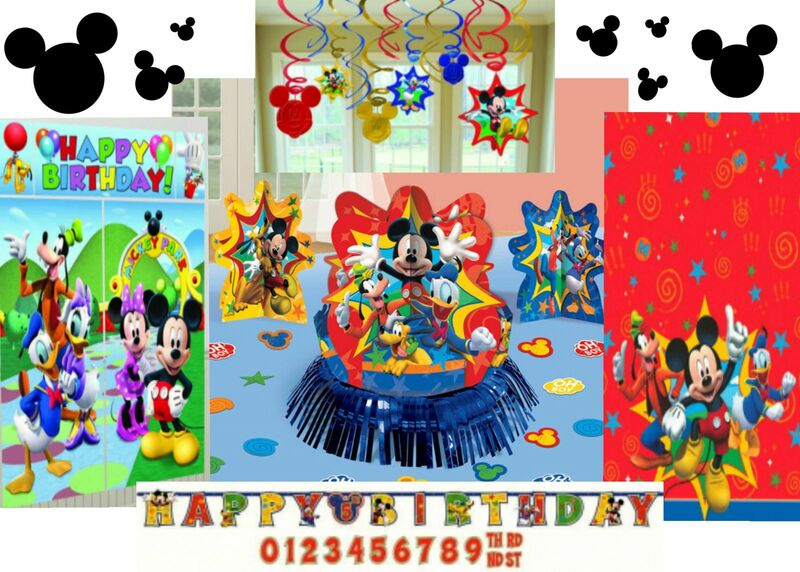 2 Mickey table Foil Fringe Centerpiece,12 3/5"
8 Mickey Square Plates of 9 inch. 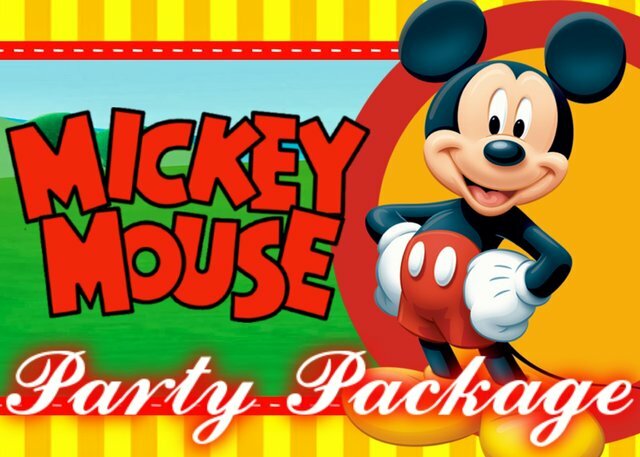 8 Mickey Square Plates of 7 inch. 8 Mickey Cups of 9oz. 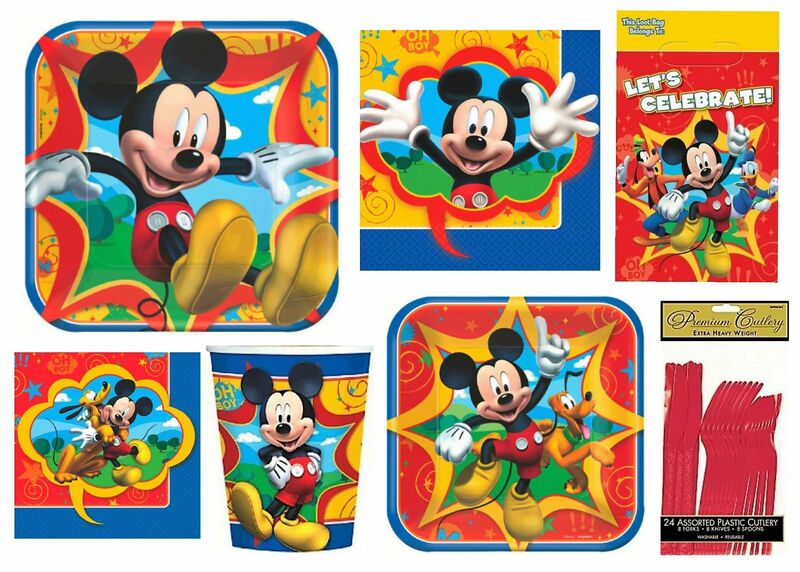 8 Mickey Plastic Loot Bags, each measuring 6 1/2in x 9in.